In today’s world safety is paramount and the best place to see this is at the airport or on a aeroplane. Safety lighting and emergency led lighting is now being used on planes because of led light flexible usage and wide range of applications. For example emergency lighting on aircraft can now be embedded into the ceiling aswell as the flooring and with a reduced power drain and brighter light led lighting is perfect as emergency lighting. Led lamp units are taking a strong grasp of the once ‘only halogen’ consumer market. Most new installations of lighting units which would have been halogen are now using 1watt and 3watt led lamp replacements. This shift into the marketplace means more demand on the far eastlamps manufacturers of the led units and a projected reduction in cost of over 50% over the next 2 years. 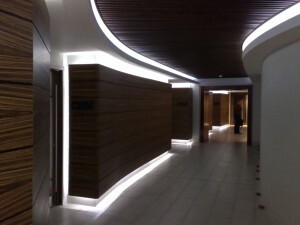 LED Lighting is best used when its put to its full effect, this can be seen here where fibre optic fx produced a magnificent LED Lighting Effect using RGB Silicone Flex LED, the effect really putys the spa at this hotel into a real chill out mood. LED Lighting is all around us and if you look carefully you will be surprised at the applications, for LED Lighting projects you really need to contact us as we can cater for any need – and best of all with LED Lighting you wont be disappointed! LED lighting is all around us and is becoming that common that its often taken for granted, from lighting in homes to lighting in businesses LED is definately the way to go, an initial higher cost but up to 10 times the life of traditional halogen puts this technology at the forefront of future design projects. 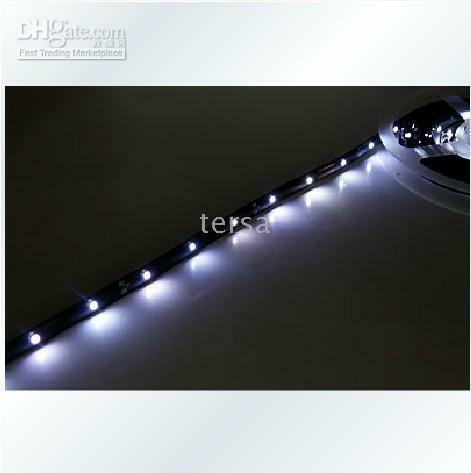 Weve found an unusual application of LED lighting and would like to share it with you! The LED lighting in the shop window at the new JD sports at The Mall Blackburn looked fantastic as i walked passed today. They where very eye catching and I’m sure they will draw in the customers, it would be great for more shops to add them to their window display. LED display lighting really looks good, very bright and cheaper to run than conventional display lamps. Trying to save a little money. LED lighting will save you money. The efficiency of an average light bulb is 20%, resulting in 80% of the energy supplied that your paying for, being lost as heat. 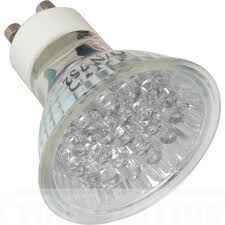 Compare this with LED lighting, which has an efficiency of 80% and therefore requires much less energy to run. LED’s also last around twice as long as a incandescent light bulb, meaning that they will need replacing half as much, again saving money! Even when you do have to replace your LED’s, they are so lightweight and portable (compared to standard light bulbs) that manual costs are much less, which could be significant if you have many lights to replace, and if you have a electrician charging you for instance £30 an hour to go round and replace lamps you don’t want him or her there all day. Indeed it has to be the way forward as it wont be long before they stop producing incandescent light bulbs then we will all have to change our ways, moving on to either low energy lamps or better still LED lamps which produce more light and look great.